This helpguide is to show you how to use the new search engine, Find it at Lincoln, more effectively. I have also uploaded a link to the Business School libguide under the Help Guides tab. SCONUL runs a scheme allowing you to use other academic libraries. From Thursday 7th December new users can now register with the Sconul Access scheme online at www.access.sconul.ac.uk. It was one of the Eureka! moments, when reading study skills books over the summer, I found simple formulas to write well-crafted essays. These formulas can be employed to structure the skeleton of an essay. It may sound simplistic but you can build on it by weaving scholarly material into your assignment, and may be the secret of your academic success. These slides are uploaded from an essay writing workshop presented earlier today, referring in part, to Stephen Bailey’s brilliant Academic Writing for International Students of Business available at 808.06665 bai on the second floor of the GCW . More Books is your chance to tell the Library what resources you need for your academic study. More Books is an easy and straightforward way for you to influence what we buy. We sometimes hear that there aren’t enough books in the library, but we need more specific information to act on. Are there resources that you can’t get hold of because there aren’t enough copies on the shelf or it is missing? Or is there a book on a module reading list that the library does not have? Have you found a book you need for your dissertation but the library does not have it? If the answer is yes to any of these please tell us via More Books! More Books includes a form for you to complete and gives us the details of the book and the reasons why you want us to buy. From this information we can then purchase either the book or ebook and we will reply to you to tell you what we have done. 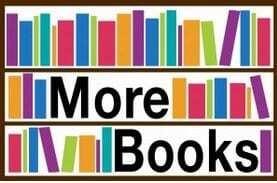 More Books is launched today (Monday the 13th January) and will run for a limited period only and so please make your requests as soon as possible. It is only available to students and so will reflect your academic needs. New reading list look – today!